Keith L. Black is a renowned neurosurgeon and scientist who is the chairman of the Department of Neurosurgery and the director of the Maxine Dunitz Neurosurgical Institute at Cedars-Sinai Medical Center. 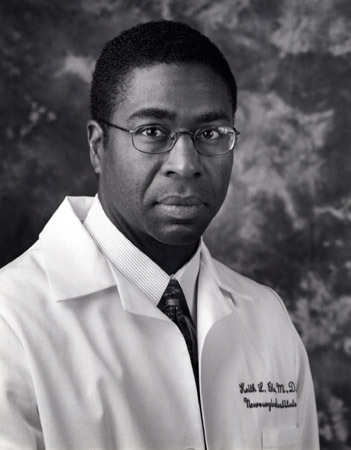 Keith L. Black is a renowned neurosurgeon and scientist who is the chairman of the Department of Neurosurgery and the director of the Maxine Dunitz Neurosurgical Institute at Cedars-Sinai Medical Center. Dr. Black also holds the Ruth and Lawrence Harvey Chair in Neurosciences and is a professor of neurosurgery at Cedars-Sinai Medical Center. At age seventeen, he published his first scientific paper, which earned the Westinghouse Science Award. He completed an accelerated college program at the University of Michigan and earned both his undergraduate and medical degrees in six years. He completed his internship in general surgery and residency in neurological surgery at the University of Michigan Medical Center in Ann Arbor. Dr. Black has pioneered research on designing ways to open the blood-brain barrier, enabling chemotherapeutic drugs to be delivered directly into the tumor. His other ground-breaking research includes developing a vaccine to enhance the body's immune response to brain tumors, using gene arrays to develop molecular profiles of tumors, employing optical technology for brain mapping, and using focused microwave energy to noninvasively destroy brain tumors.